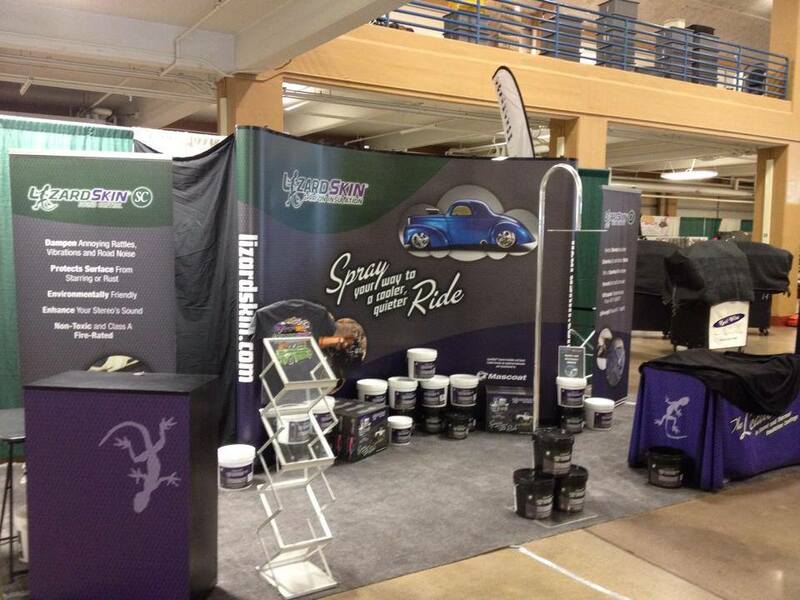 The LizardSkin marketing team attends over 20 car shows every year, engaging attendees with interactive product demonstrations to show the sound-dampening and insulating properties of their products. For the sound-dampening demonstration of LizardSkin SC (sound control), guests are invited to knock on a car door that has been internally spray-coated with the formula. LizardSkin CI (ceramic insulation) is demonstrated on an electric griddle, where the more adventurous attendee can touch a surface that has been coated while feeling the ambient heat coming off the uncoated side of the griddle.